• Multi-Scores running against the corrugations enabling the cardboard to conform around any product. • Corrugated Cardboard is a cheap and effective method to wrap and protect your products. • Used in floor protection situations where workers need to protect flooring whilst carrying out their work. • Available in various sizes, see below table. 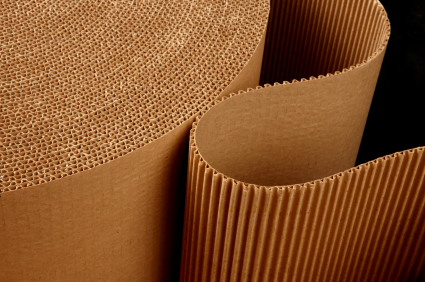 Corrugated cardboard is a paper-based material consisting of a fluted corrugated sheet and one or two flat linerboards. It is widely used in the manufacture of corrugated boxes and shipping containers; using “flute lamination machines”. Single Face rolls consists of a fluted corrugated sheet and only one flat linerboards. Allowing flexibility and conformability.